Television is at its strongest when it doesn’t shy away from darkness. Past are the ideals that TV should consist of one mind-numbing hour of studio laughter and sheer positivity. TV is no longer simply a distraction, or a way to pass the time. Shows that embrace artistic and cinematic visuals, and a tone that does not serve the sole purpose of “entertaining”. 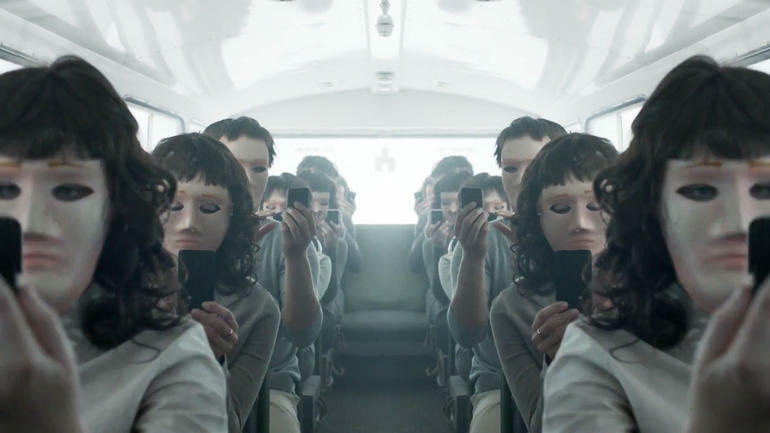 Black Mirror is subtle, yet extremely dark in it’s fantasized, but raw sense of reality. This Netflix original is a 3 season anthology, each episode delivering a dark message about our reality, wrapped in a sci-fi structure. Black Mirror, an underrated masterpiece, has become the modern Twilight Zone. Behind mind-twisting plot lines and chilling endings, individual directors influence viewers with messages about the way technology affects our social environment, and the dark way humans interact in modern society. Shining episodes include “White Christmas,” “Nosedive,” and “Be Right Back.” All of which follow vastly different plot lines and moods, whether heartbreaking, frightening, or slightly satirical, the lesson is the same. The influence that technology has over us today is far too powerful. In “White Christmas,” writer Charlie Brooker explores the idea that the further into technological innovation we delve, the less power we have over ourselves. How long will it be until we are betrayed by our own thoughts? Until our individual actions become powerless under the fist of technology. Bryce Dallas Howard’s exceptional delivery in “Nosedive,” coupled with the direction of Joe Wright, presents the reality of a future controlled by social media. The danger comes when one’s online presence and social interactions place them into a modern caste system moderated by peers. Black Mirror is a must watch for the sole reason that it has the power to wake people up with the reality of the modern world, without being preachy in a “the more you know” sort of way. The creators of this series have managed to craft something that is genuinely entertaining, but will leave viewers thinking long after the episode ends.